Contemporary minimalism usually describes movements in various forms of art and design, especially visual art, where the work is stripped down to its most fundamental features. 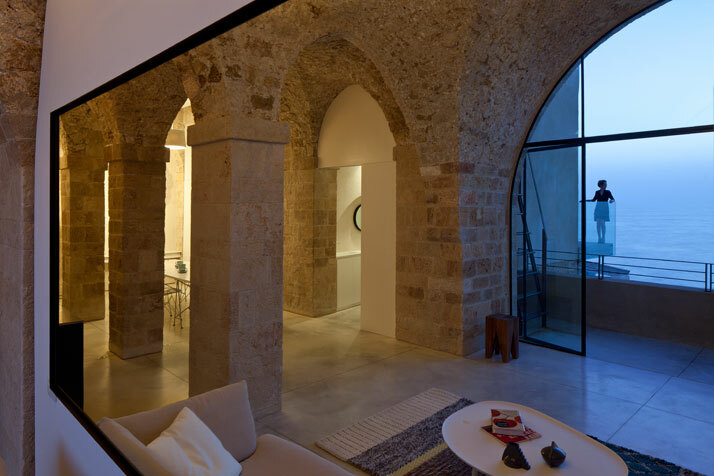 Such is the case with this historic residential flat in the old port of Jaffa, Tel Aviv – Israel, designed by Israeli-based Pitsou Kedem Architects. 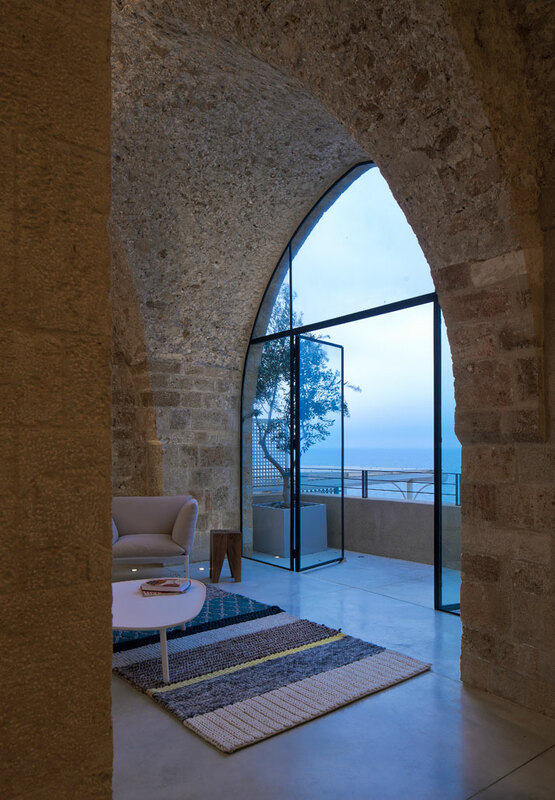 The 100 square metre (1,076.4 square feet) residential flat which overlooks the majestic splendour of the Mediterranean Sea is very unique not only for its location, but also for the structure itself. 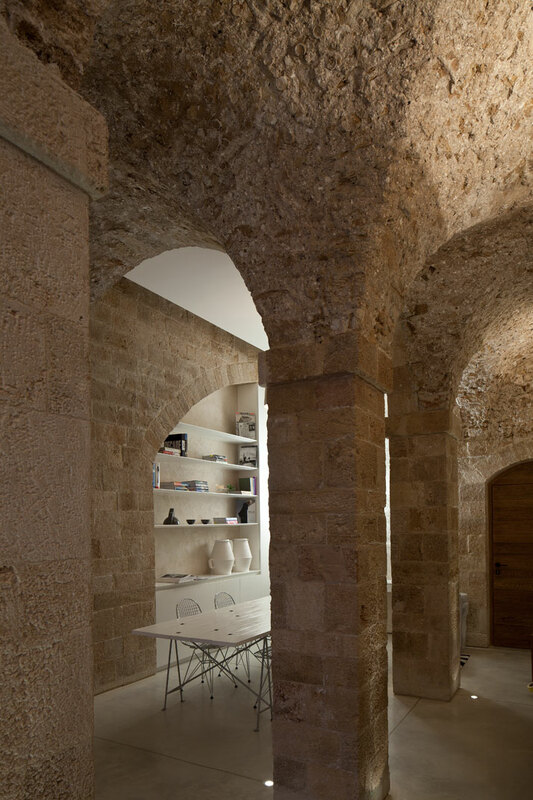 Pitsou Kedem Architects was called upon to restore and redesign this exceptional residential flat. 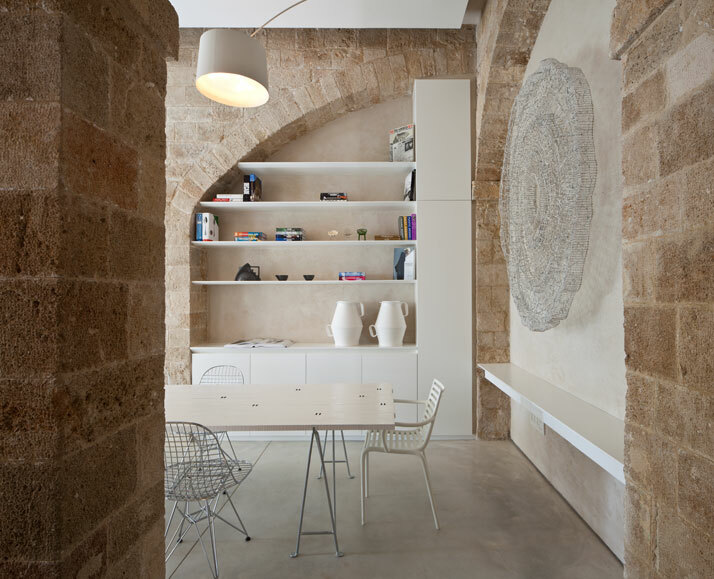 The language of minimalism is now embedded in this historic residence where it is difficult to determine the building’s exact age, although the architects speculate that it is hundreds of years old. 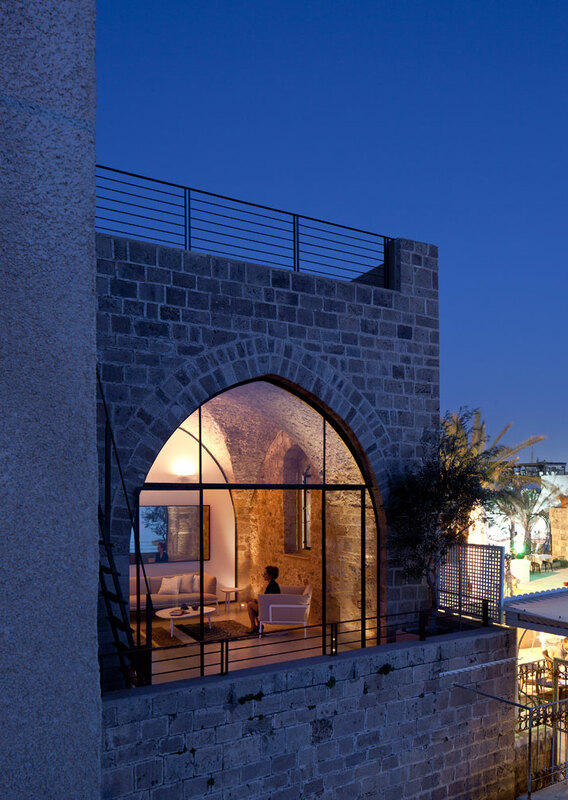 Positioned above the historical port of Jaffa - an ancient port city believed to be one of the oldest in the world – the historical stone-built building faces west, with all of its arched openings facing the ever-imposing Mediterranean Sea. 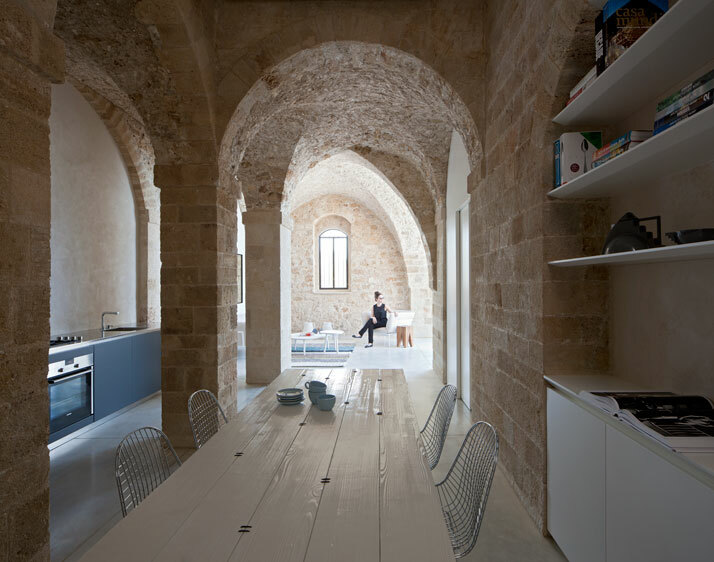 Over the years, the historical stone-built building has undergone various additions and transformations which have damaged the original quality of the building, the materials and the interior spaces. 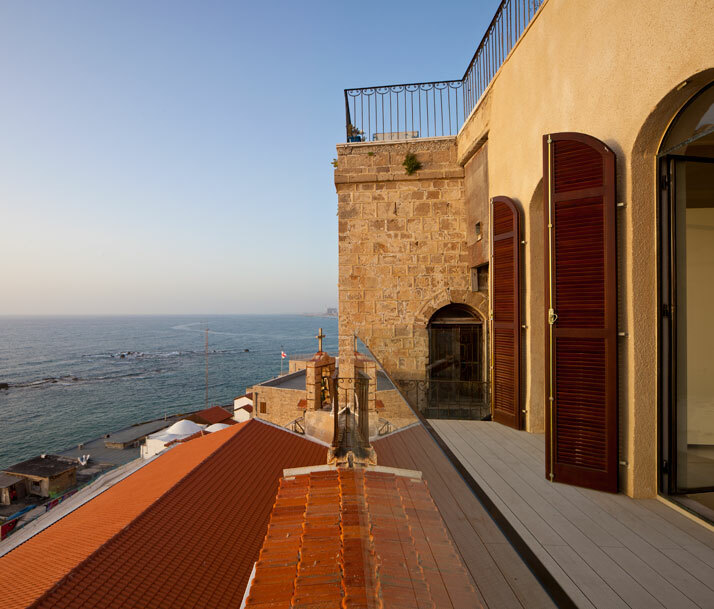 The owners asked for the restoration of the original structure and the unveiling of the original materials (stone structure, pottery and beach sand) which were concealed under thick additional constructional elements. 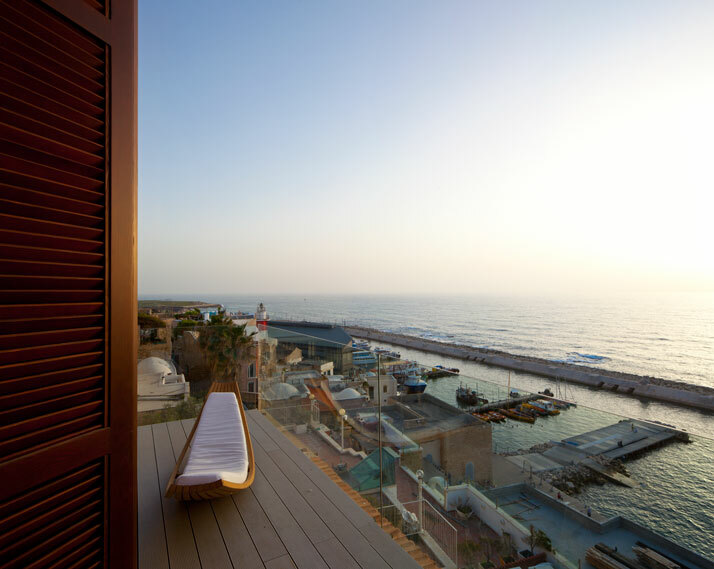 Having the finest ‘canvas’ to work on, Pitsou Kedem Architects combined the old and the new whilst maintaining the qualities of each; in addition, they created new spaces that blend the styles together, intensifying them in certain cases due to the contrast and tension between the different periods. 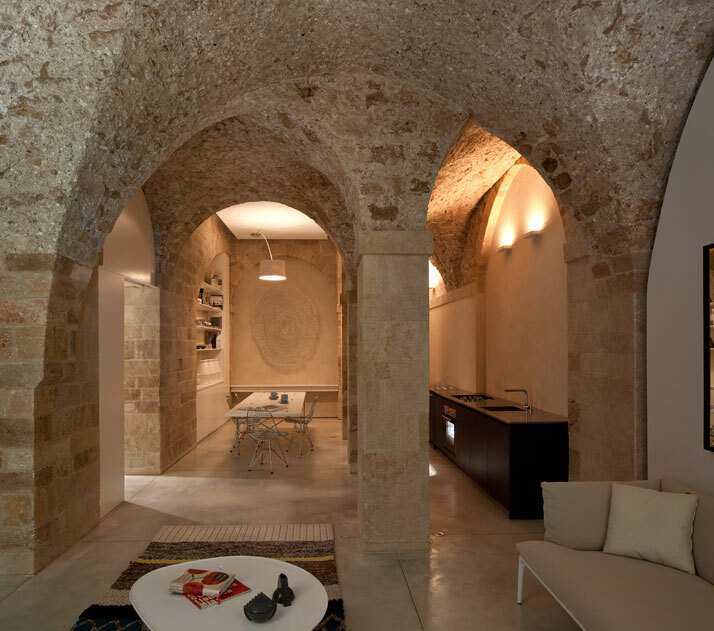 Surprisingly, the stripping down of the additional elements which were added though the years, unveiled a modern, minimalistic construction reminiscent of, and corresponding to the ascetic style of the past. Regardless of the immeasurable time dissimilarity between the past and the present, the past and the present correspond as they present their austere fundamental features. 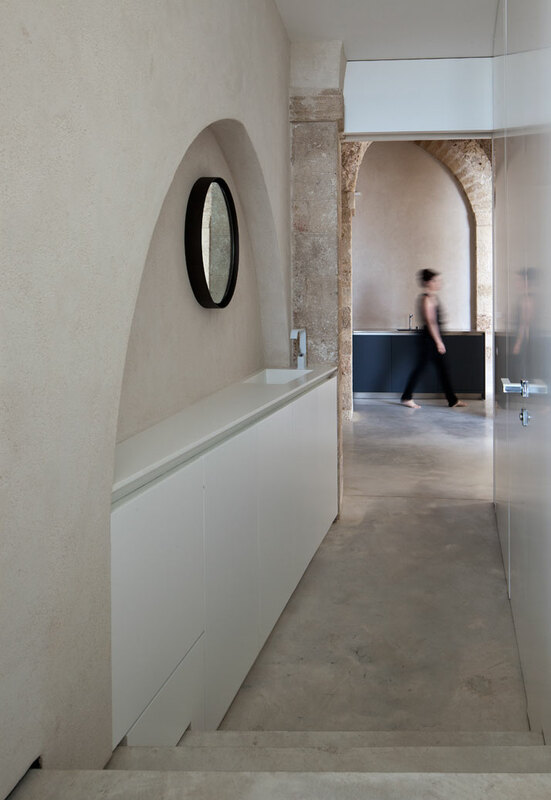 The historical elements are expressed through the preservation of the textures and the materials of the building’s outer shell and by respecting the building’s engineering. Modernity is expressed through the opening up of spaces, the alteration of the internal flow, and the creation of an urban loft environment. 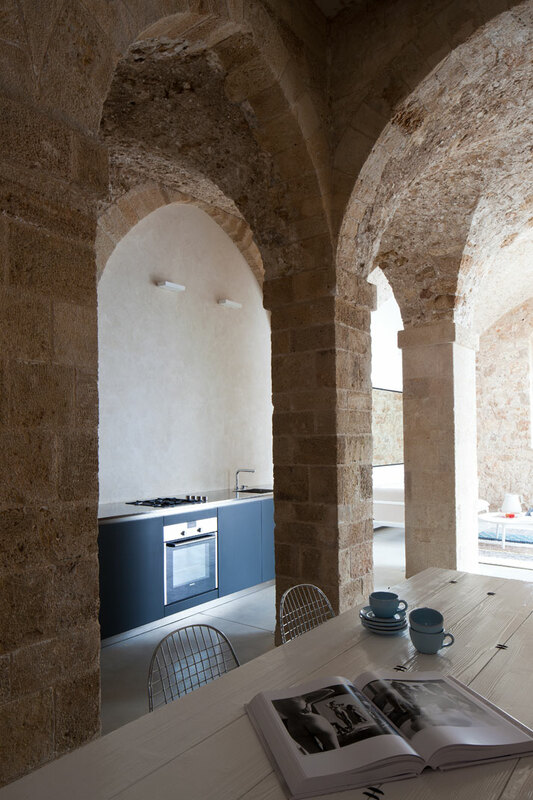 Of course, the application of new materials, which in any case do not affect the original stone-built structure, set the tone for a contemporary minimalist interior. 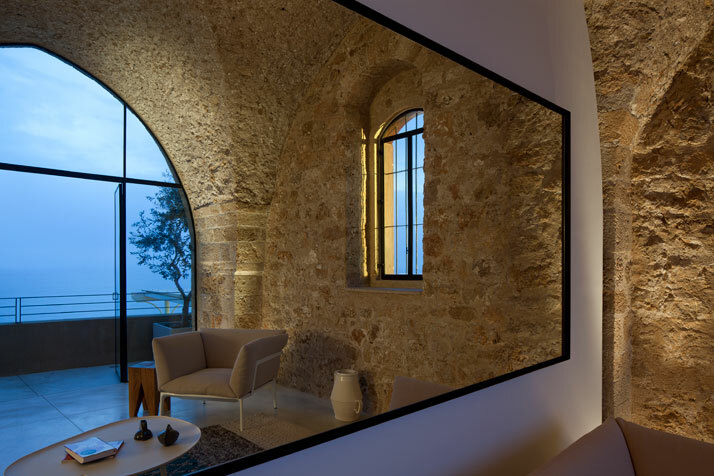 The application of stainless steel, iron and Corian in the various partitions, in the openings and in bespoke furniture constructions are all elements that add up to make this historical interior a contemporary minimalist loft. 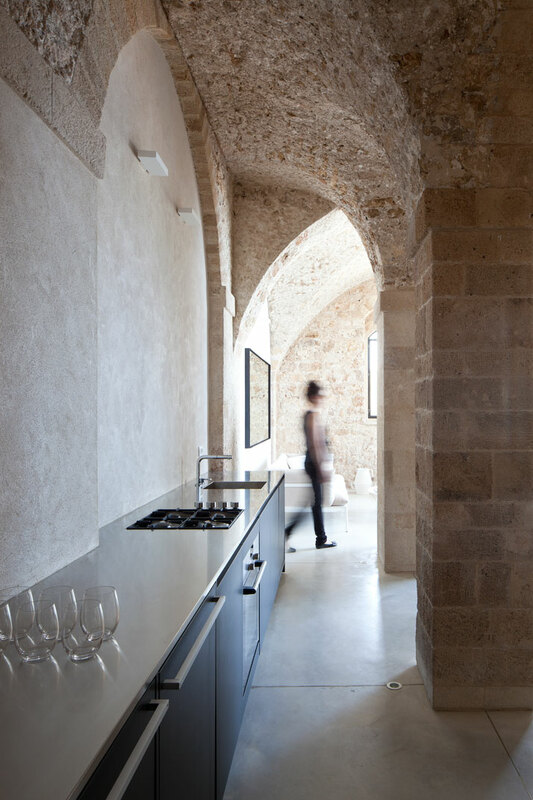 The application of an austere material such as microcemento on the flooring and on very few walls sets an additional industrial tone, a tone which could even be described as ascetic. Minimalistic furniture in neutral tones made of natural materials such as wood, maintains the overall serene feeling which is exerted throughout the interior. 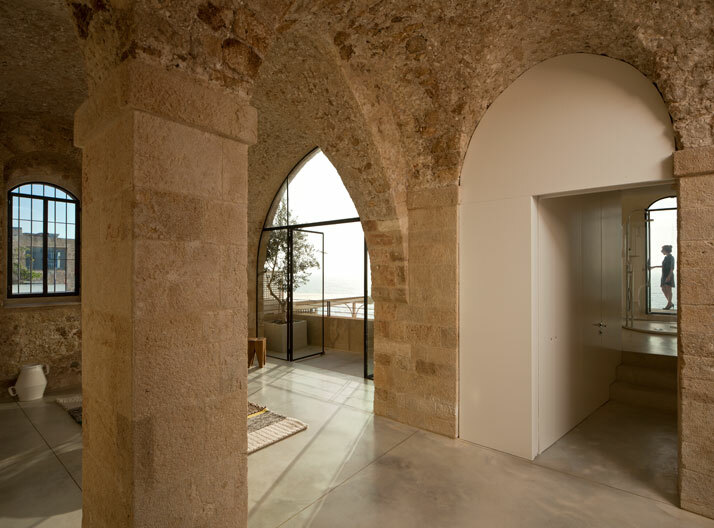 In conclusion, the restoration performed by Pitsou Kedem Architects in this historical building with the thick stone walls succeeds in honouring and preserving the historical and idealistic values of the structure whilst producing a contemporary project, which is well designed, modern and well-suited to today’s standards. Despite the time differences, the tensions and the dichotomy between the periods, they all co-exist in an unpredictably balanced and harmonic space. 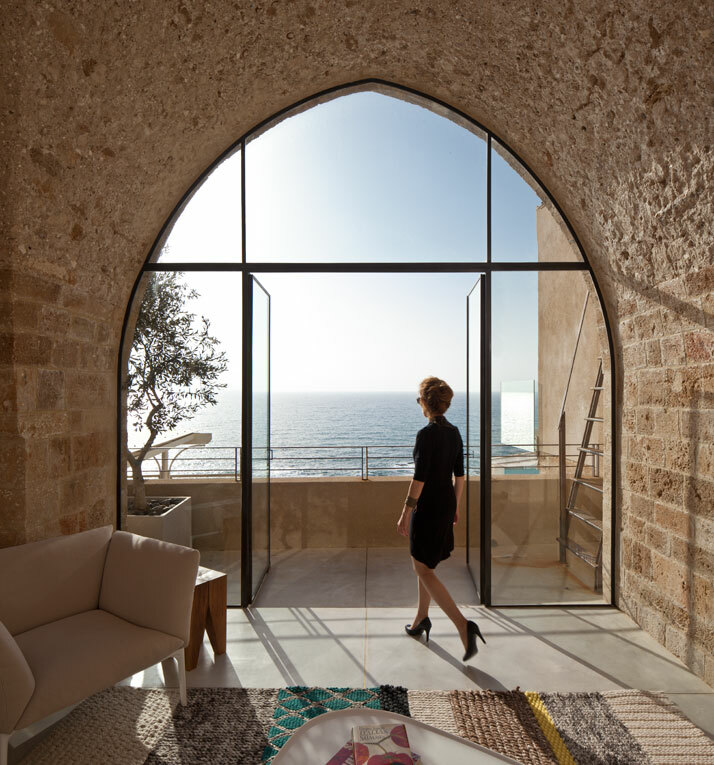 Pitsou Kedem Architects has truly respected the history of the building as well as its location, and has managed to merge contemporary minimalism and historical asceticism, which is not far away as both encompass an austere style.